Change the Area or Choose a Sub District Manchester City Centre" Inner City" Suburbs" Greater Manchester"
The Museum of Science and Industry, or MOSI for short, is Manchester's huge, award winning museum built around the old Liverpool Road railway station and company warehouses. The Air and Space Hall on the opposite side of the road to the main building should not be missed out! 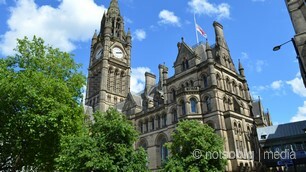 Manchester Town Hall in Albert Square is one of the most iconic landmarks in the city. Regarded as one of the finest examples of Neo-Gothic architecture in the United Kingdom, it is one of the most important Grade 1 listed buildings in England. 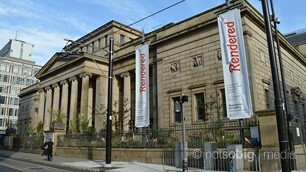 Manchester Art Gallery is one of the country�s finest art museums. They welcome over half a million visitors each year to their home in the heart of the city, a blend of historic and contemporary architecture that echoes the innovative artistic programme. 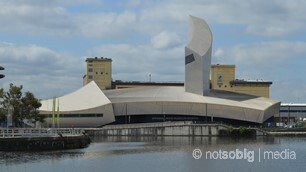 The People�s History Museum in Manchester is the national museum of democracy. They aim to engage, inspire and inform diverse audiences by showing �There have always been ideas worth fighting for�. Visit the museum and join a march through time following Britain�s struggle for democracy over two centuries. Manchester Cathedral, formally the Cathedral and Collegiate Church of St Mary, St Denys and St George, is the mother church of the Anglican Diocese of Manchester, seat of the bishop and the city's parish church. 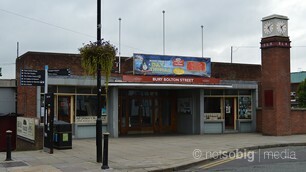 It is located on Victoria Street in the city centre. Manchester Central Library is the headquarters of the city's library and information service and faces St Peter's Square. It was designed by E Vincent Harris and is a columned portico attached to a rotunda domed structure, loosely derived from the Pantheon, Rome and was constructed between 1930 and 1934. 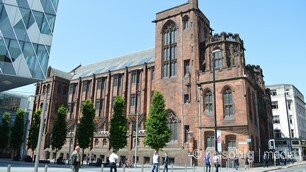 Chetham's Library was founded in 1653 and is the oldest public library in the English-speaking world. It is an independent charity and remains open to readers and visitors free of charge, although they welcome donations. Most visit to see the building itself as readers are required to make an appointment. 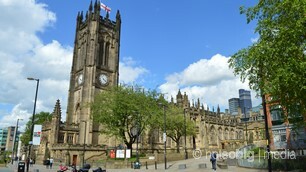 St Mary's, The Hidden Gem was founded in 1794 in the centre of what was then, the poorest quarter of Manchester. It is now thought to be the oldest post-Reformation Catholic church founded as a church in any major centre of population in England. History is brought back to life at the Greater Manchester Police Museum. Venture into the original Victorian cells with their wooden pillows and the Charge Office of Newton Street Police Station where time has stood still for over 120 years. St Ann's Church was consecrated in 1712 and although named after St Anne, it also pays tribute to the patron of the church, Ann, Lady Bland. St Ann's Church is a Grade I listed building. Experience the world's greatest sport at the National Football Museum. Whether you�re a die hard football fan or just on a day trip, enjoy a visit to the world's biggest and best football museum. One of the largest conservation areas in Manchester, Castlefield is situated on the south west side of the city centre. Its focus is the Roman fort from which it derived its name 'castle in the field'. Piccadilly Gardens is an open space in the city centre, between Mosley Street and Portland Street. Once formal green gardens, the area was rebuilt in 2002 with more paving, a water feature and concrete pavilion by Japanese architect Tadao Ando. The result is modernistic and rather cold, with few flowers in sight. The Portico Library is open to all and aims to enhance and develop life-long learning by providing and promoting access to knowledge and education in Art, History, Literature and Science. The Gallery area, its exhibitions and events as well as daily refreshments are open to everyone during opening hours. Sackville Gardens is a small ornamental garden next to the Rochdale Canal comprising of grassland, trees, herbaceous bedding areas and flowerbeds. The Gardens is home to a life size silicon bronze memorial to computer pioneer Alan Turing. 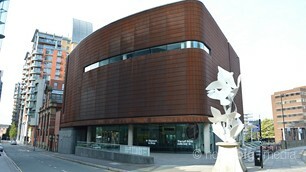 Manchester's Visitor Information Centre is located in the city centre next to Piccadilly Gardens, on the corner of Parker Street and Portland Street. The friendly staff will answer any questions you may have or offer help to plan your visit. St Peter's Square is a public square in the city centre located at the junction of Peter Street, Mosley Street and Oxford Street. To the west of the square is the Central Library, Midland Hotel and the Town Hall Extension. The square is also home to the Manchester Cenotaph. 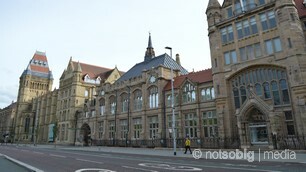 Manchester Museum is the Museum on Oxford Road with the dinosaurs, mummies and live animals. They also have loads of other great stuff from the natural world and different cultures. There's also regular events and special exhibitions. The Whitworth�s extensive and eclectic collection of art and design is of international significance. A �15 million development has transformed the gallery, doubling it in size and creating new spaces that embrace the park it calls home. 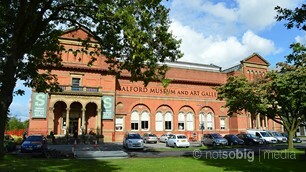 Salford Museum and Art Gallery was the UK�s first free public library, opened in January 1850, followed in November by a museum and art gallery. The building was a mansion house known as Lark Hill, which had been built in the 1790s and has given its name to Lark Hill Place - a Victorian street within the museum. Victoria Baths in Manchester is a listed Edwardian swimming pool and Turkish Baths complex, closed since 1993 awaiting restoration. The Baths are though open as a heritage visitor attraction and arts venue from April to October each year, with a few additional events taking place outside these dates. Elizabeth Gaskell's House in Manchester is the former home of the famous author and her family. Her novels include Mary Barton, Cranford, North and South, Ruth and Wives and Daughters and are enjoyed on television, stage and radio. 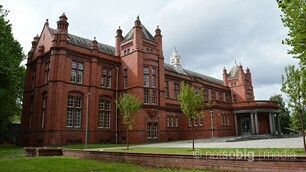 Manchester Jewish Museum is located in a former Spanish and Portuguese Synagogue on Cheetham Hill Road. 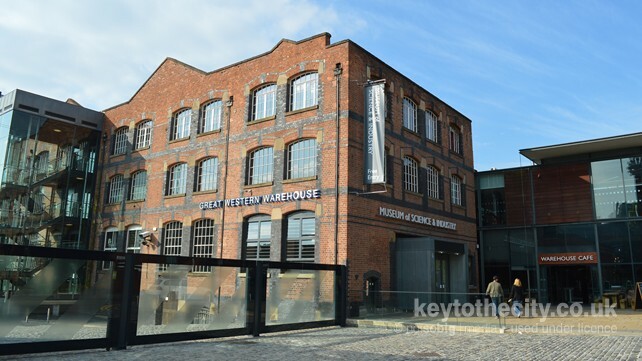 It is the only Jewish Museum outside London and is housed in the oldest surviving synagogue building in Manchester, completed in 1874. Manchester United Football Club is one of two Premier League football clubs in the city and have played at Old Trafford since 1910. 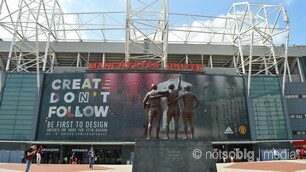 Manchester United is one of the richest football clubs in the world and is famous worldwide. 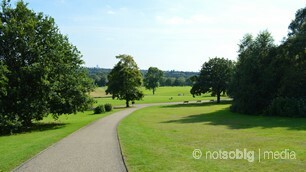 Heaton Park is the biggest park in Manchester and the largest municipal park in Europe. It has a Grade I listed, 18th-century country house called Heaton Hall, 18-hole golf course with driving range, a boating lake, an animal farm, woodlands, ornamental gardens, an observatory and a volunteer-run tram system. Set in a magnificent waterside location at the heart of the redeveloped Salford Quays, The Lowry is an architectural flagship with a unique and dynamic identity. 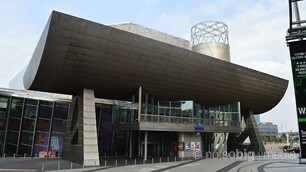 The Lowry houses the largest public collection of the artist�s work as well as two main theatres. 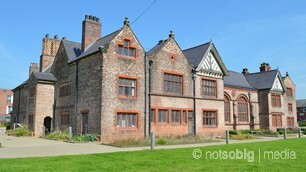 Ordsall Hall is Salford's Grade I listed Tudor manor house and was first recorded in 1177. Since then it has been home to medieval gentry, Tudor nobility, Catholics loyal to the crown, butchers, farmers, an Earl, an artist, priests, scout troops, mill workers, cows and several ghosts! IWM North is about people and their stories � it is about how war continues to shape and change lives. The Main Exhibition Space takes you through a timeline of wars Britain and the Commonwealth have been involved in from the First World War to the present day. 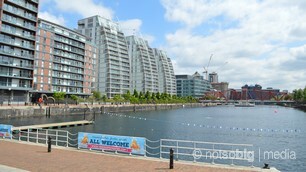 The Salford Quays are Greater Manchester's unique waterfront destination. Enjoy world class entertainment, leisure and cultural facilities or just take a pleasant stroll around this historic, industrial area. MediaCityUK is the new home for the BBC, ITV and creative industries in the north west. Greater Manchester's Museum of Transport has one of the largest collections of its kind in the country. It is run by the volunteers of the Greater Manchester Transport Society but the Museum is owned by Transport for Greater Manchester. Wythenshawe Park is set in 250 acres of open parkland in south Manchester, with historic and ornamental woodlands, herbaceous borders, formal bedding, open grassland and beautiful wild flower meadows. Its grounds have proved to be both beautiful and popular over the years. Heaton Park Tramway is run by the Manchester Transport Museum Society. They currently have three operating electric trams running on a stretch of track dating back to the original Manchester Tramway which used to operate into the park. Take a front row seat to watch the planes take-off, enjoy a restaurant with a view like no other, take home a souvenir and round the day off with a guided tour of BA's flagship Concorde. Access to the Concorde Hangar is by paid tour only. Platt Fields Park was formally opened in 1910. One of Manchester's major outdoor event sites, the park has three dedicated show fields with a supported infrastructure for large scale national and small scale and local events. The Gallery of Costume at Platt Hall holds over 21,000 items of clothing and accessories, covering all aspects of the history of dress from 1600 to the present day. Sea Life is the world�s biggest aquarium chain with more than 40 attractions across the world. Fancy diving beneath the sea without getting wet? You'll come eyeball to eyeball with everything from shrimps to sharks, and learn tons of great stuff from Sea Life experts. Fairfield is a Moravian Settlement congregation which was opened in 1785. It was planned and built by its own people, with its inn, shop, bakery, farm, laundry, fire-engine, night-watchman, inspector of weights and measures, an overseer of roads, and even its physician. The East Lancashire Railway is a heritage railway line in North West England which runs between Heywood and Rawtenstall with intermediate stations at Bury Bolton Street, Summerseat, Ramsbottom and Irwell Vale. 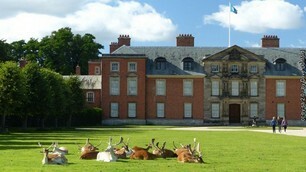 Dunham Massey is a garden for all seasons, an ancient deer park and a house filled with treasures and stories. Encircled by its protective wall, Dunham Massey is a green oasis nestling between the urban sprawl of Manchester and rural tranquillity of Cheshire. The Museum of the Manchester Regiment is located within Ashton-under-Lyne's impressive Victorian Town Hall. The Museum tells the story of generations of Manchester Regiment soldiers through two hundred years of service from 1758 until 1958.